The G.W.P. Group is divided into G.W.P. 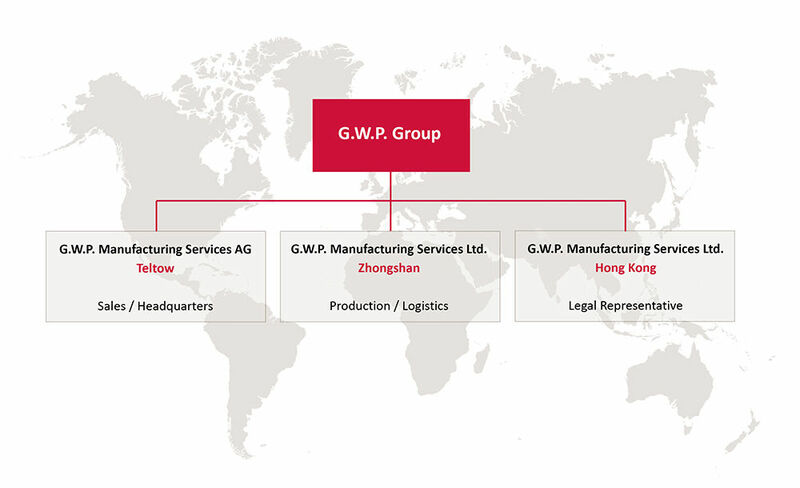 Manufacturing Services AG comprising the headquarters and the sales/marketing division (Teltow, Germany), and the Chinese branches of G.W.P. Manufacturing Services Ltd., Zhongshan (production) and G.W.P. Manufacturing Services Ltd., Hong Kong (legal representative).